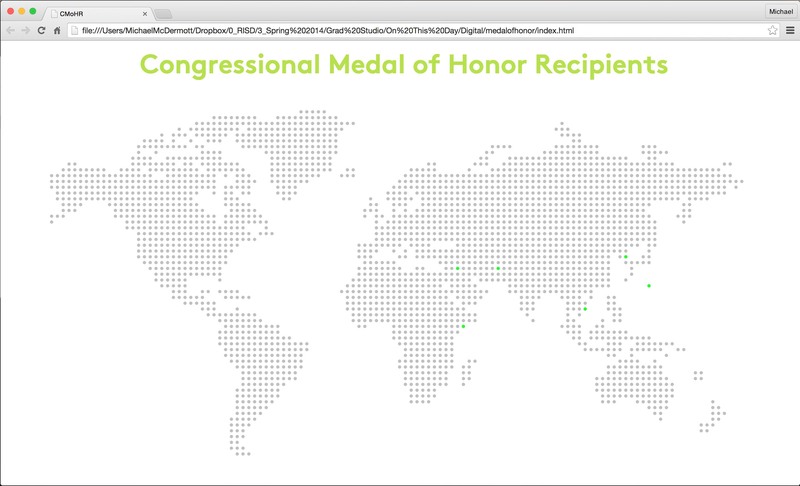 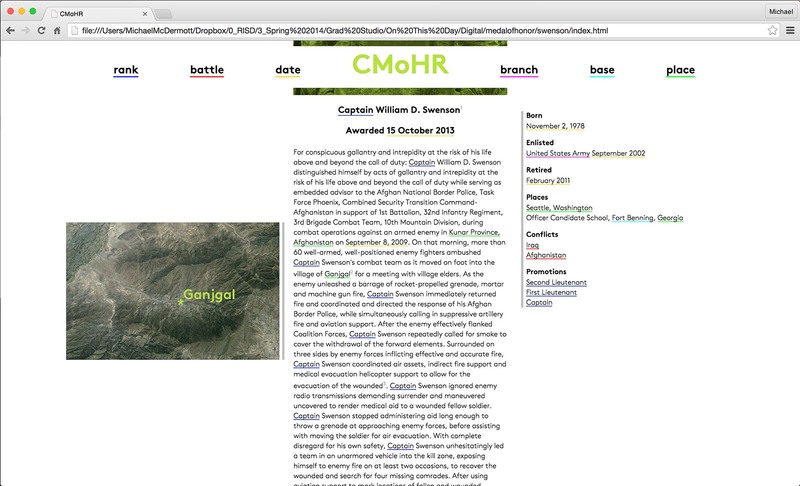 A prototype for a website that would allow people to navigate the Medal of Honor recipients. 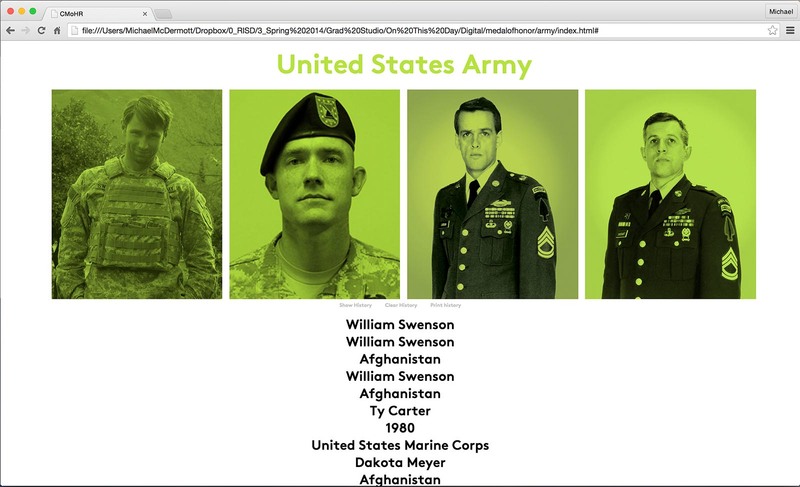 The site links each person together by certain categories each soldier might share with another soldier (place, branch, year, etc.). 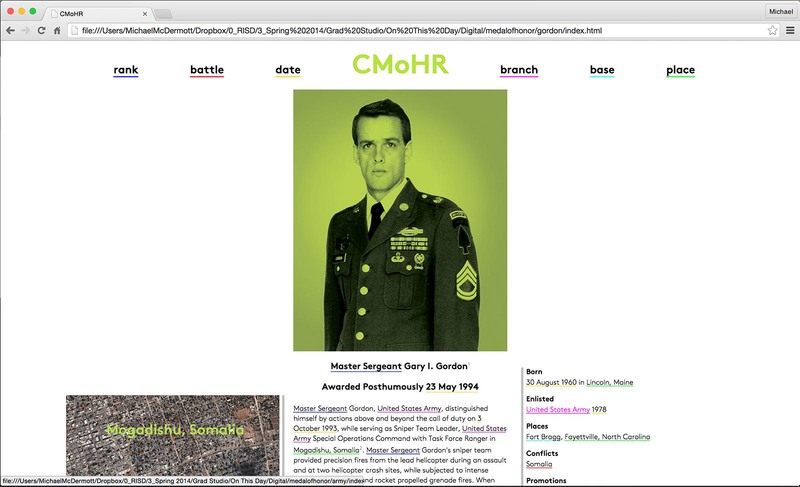 Each time the user clicks on a link that category is stored and the user can see their own path through the database creating a new narrative on top of the existing narratives of the recipients.